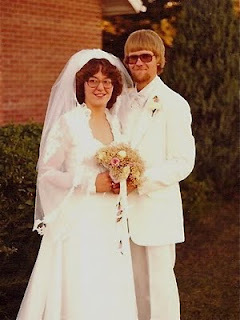 29 years ago, the Blue-eyed Farmer and the Farmer's Wife were wed.
People wondered if it would last. It has and it will. I'd do it again in a heart-beat. Happy Anniversary; love all ways, love always. I am passing you a blogger award, come and visit me to check it out.